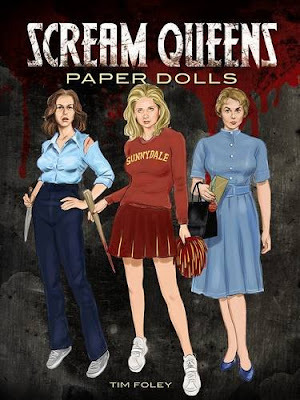 Tim Foley's " Scream Queens" paper doll book comes out on October 16, just in time for Halloween! This book of horror movie paper dolls features 16 actresses in their iconic costumes from their movies. Actresses include Elsa Lanchester from "Bride of Frankenstein," Janet Leigh from "Psycho," Sarah Michelle Gellar in her role as "Buffy the Vampire Slayer," and many more. These "alluring yet malevolent" dolls are inspired by "Penny Dreadful." They're shown standing around in graveyards and other spooky backdrops. 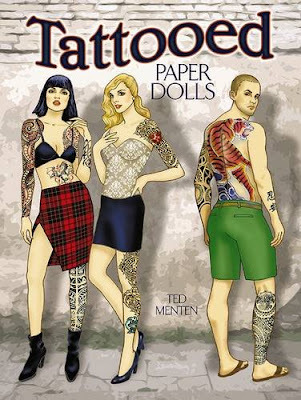 His next paper doll book comes out in October, "Tattooed Paper Dolls." 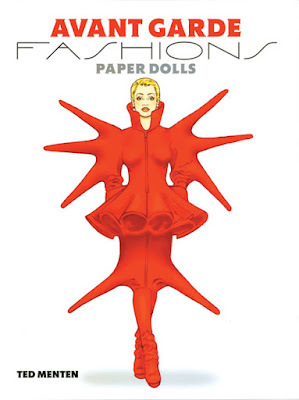 There are two male and four female paper dolls in the set. 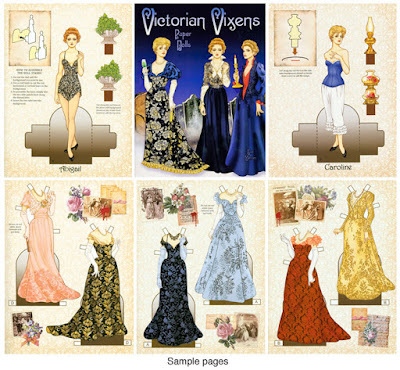 "Literary Paper Dolls" came out this summer as well. 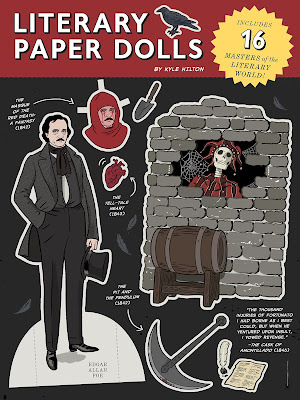 Edgar Allan Poe is the darkest paper doll in the set - the rest include Jane Austen, William Shakespeare, Virginia Woolf, and Ernest Hemingway. 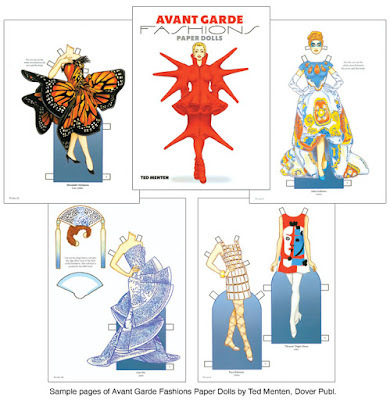 Though the fashions are not necessarily dark, I'm tempted by this "Avant Garde Fashion" paper dolls book. It's also recently published, illustrated by Ted Menten. While away a rainy Sunday with our without your gothic children or nieces. Make a pot of tea, get out your scissors and happily cut away!